Hello readers! 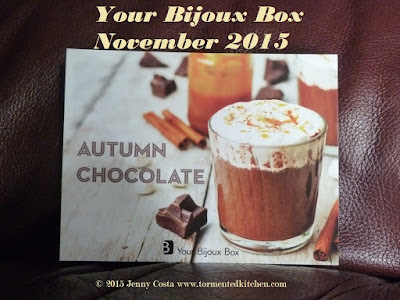 The latest box from Your Bijoux Box arrived over the weekend. Are you ready to see what came inside it? 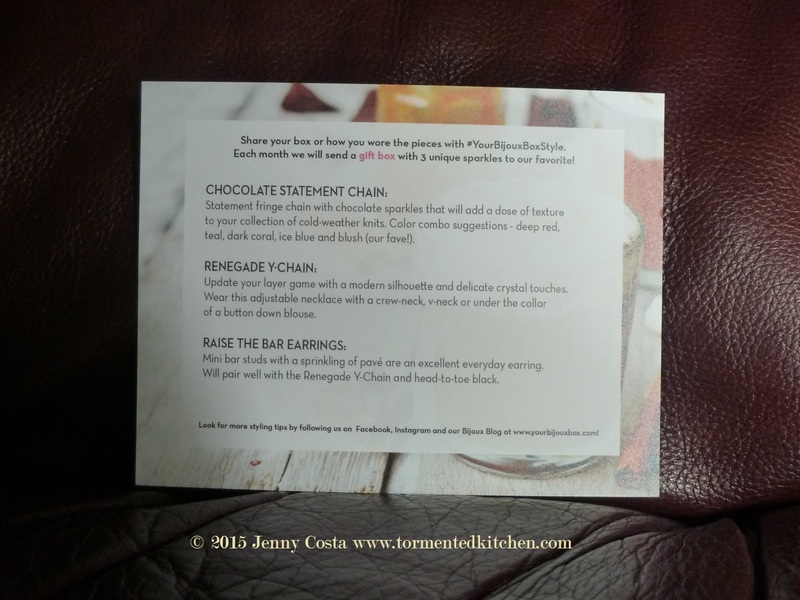 Here's the description card, three things listed here, but there was a fourth surprise piece included! 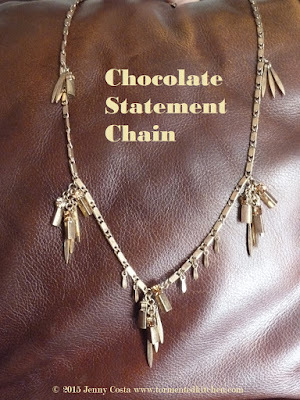 The first thing was the Chocolate Statement Chain. It's big, long, heavy, chunky, and perfect for fall. 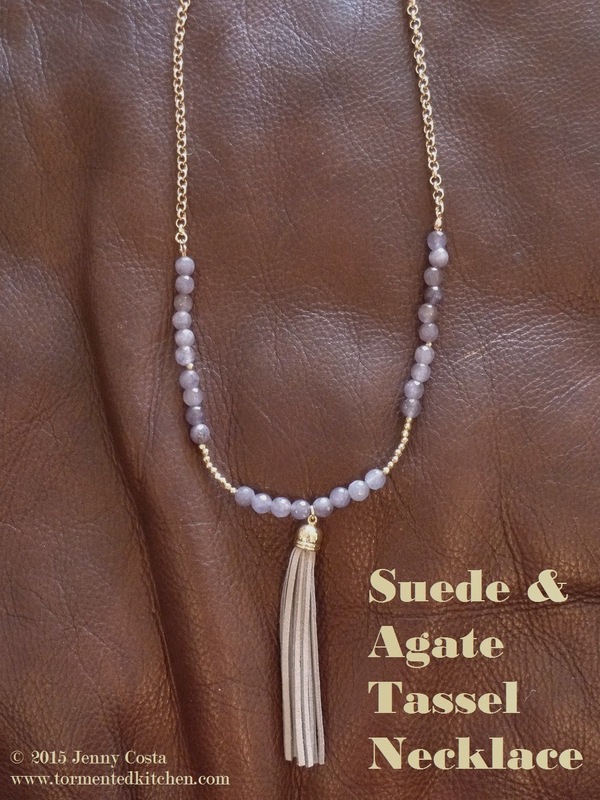 There are some golden topaz colored crystals hiding in the golden fringe. Second is the sparkly silver Renegade Y-Chain necklace. I love it! The hook can be placed anywhere to adjust it to be worn with a longer or shorter drop. Third are these lovely, simple drop earrings called Raise the Bar. 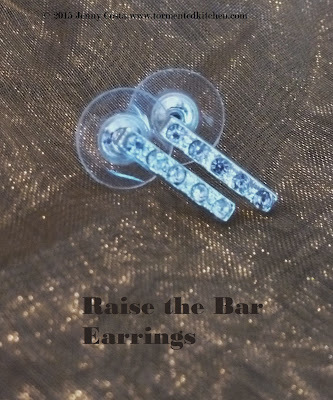 They are not too small, not too heavy and add just a hint of bling to ears. Fourth, this is the surprise piece. 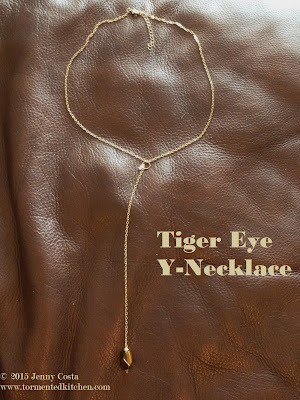 It's a golden chain with a shaped and polished tiger's eye stone. It didn't come with an official name, so I'm calling this the Tiger Eye Y-Necklace. 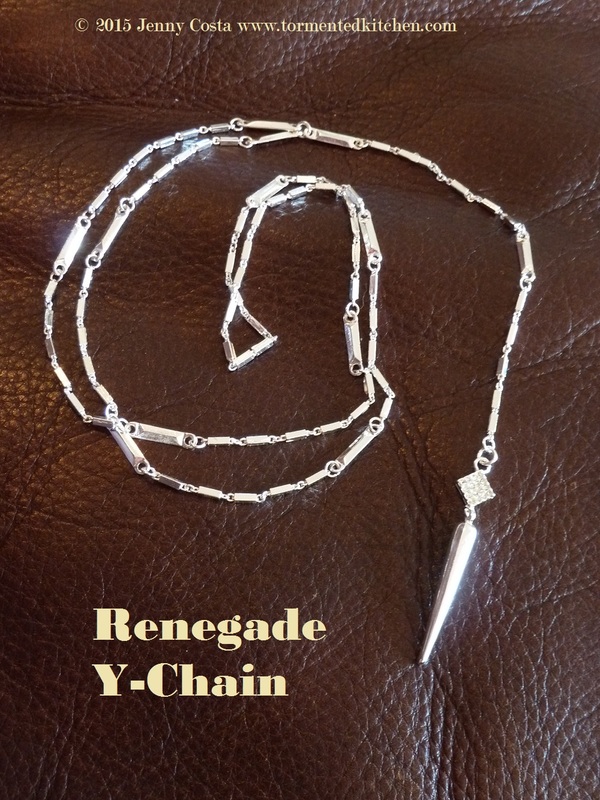 And finally, I ordered a necklace from the subscriber add-on sale. 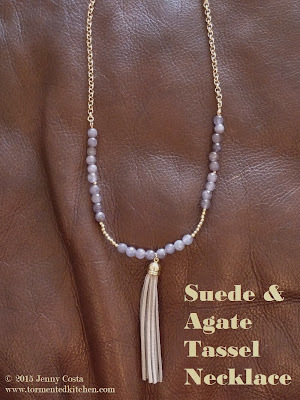 I picked out the gray Suede Tassel necklace with faceted gray agate stones. It's also very long and great for wearing over a big sweater. Another box has been unpacked and added to the big old jewelry box at home. Thanks for stopping by today!